Associated Grocers of New England! 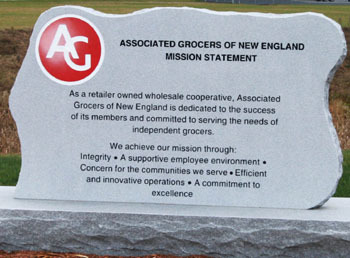 Associated Grocers of New England, Inc., is the largest retailer-owned, wholesale grocery Distribution Center in New England. We serve the needs of Independent Retail Grocers of every store size and format... multi-store independent supermarket groups, community supermarkets, country stores and convenience retailers. This website is for our customers to use. If you are currently not a customer, you can go to www.agne.com to learn more about us and what we offer. AG New England was founded in 1946 by a small, enterprising group of independent grocers drawn together to combine their buying power. Over the past 60-plus years, Associated Grocers of New England, Inc., has grown to become a formidable resource, providing the products, programs, services, technologies and innovative solutions Independent Retailers need to best assure their future success.